Pigeon Forge, Tennessee doesn’t sound like a hot spot for a prime piece of amusement park real estate. The best this slice of the American life can offer besides its gorgeous location among Tennessee’s Great Smoky Mountains is a stretch of road right off the highway. There’s an extensive slew of “As Seen on TV” stores, mini-golf and go-kart tracks galore, and even a Titanic museum. Add some monster truck raceways and that’s pretty much Pigeon Forge, or at least that’s what I thought until being introduced to Dollywood. Dolly Parton is one smart whippersnapper. The often outspoken, always smiling, firecracker of a performer is Country music’s sweetheart and rightfully so. Parton was born in 1946 in Locust Ridge, Tenn. to impoverished sharecroppers and lived in a cabin with 11 siblings without electricity or running water. Since then, she’s done pretty gosh darn good for herself. Parton has accrued quite a lofty sum of money in her name for her wide variety of classic Country tunes (and covers of said Country tunes). It’s thanks to those tunes and quirky demeanor that she’s built a lucrative entertainment empire, part of which includes the greatest gift she could have even bestowed upon her family in the Smokies — Dollywood. Parton wasn’t the first Country star to tack her name onto a tourist attraction. The low-voiced Johnny Cash opened the “House of Cash” museum in the late 1960s (which was later closed and sold in 2007). Other than that, Parton’s pretty much got everyone beat as far as generating a well-to-do niche consumer product is concerned. The year? 1986. The product? Silver Dollar City amusement park. 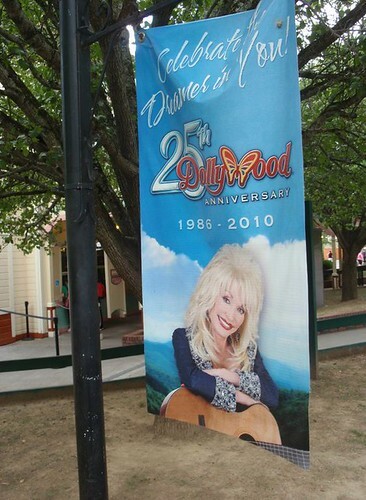 Parton bought in as a co-owner, re-branded the park, and named it Dollywood. At the time, she even told reporters she wanted to be a “female Walt Disney” upon the park’s initial reopening with the Country singer’s name as its tag. Far fetched? A bit. But it wasn’t completely out of line. 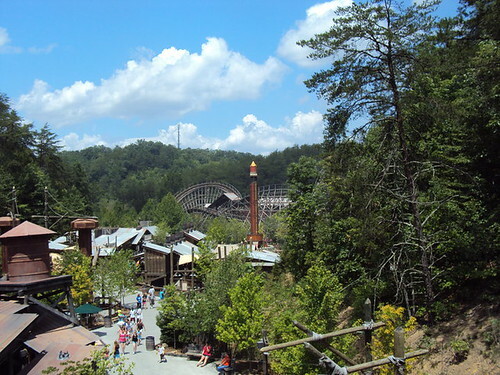 For 25 years, the Dollywood amusement park has put smiles on crowds of all ages. It’s Six Flags meets Disney World on a smaller scale with a touch of Southern charm and hospitality. Whether you visit Pigeon Forge for one of the various attractions or not, Dollywood should be an absolute must on your to-do list. Thrill-rides and themed attractions are among the park’s strong suits. There’s nothing tacky about having a good old time while riding some seriously awesome roller coasters, no matter who the park is named after. If given the choice between spending a day at any Six Flags theme park in the entire country and staying at Dollywood from dawn ‘til dusk, the choice would be Dollywood hands-down. Don’t let its family friendly demeanor deter you. This place is prime for all-ages to get down with their bad selves. Since Dolly’s name was stamped on the park more than $110 million in expansions and additions have been constructed as part of the ongoing commitment of offering guests something new each season. Rides like the wooden roller coaster Thunderhead and the County Fair’s Dizzy Disk are an instant lesson in physics for someone who hasn’t been on a thrill ride in awhile. 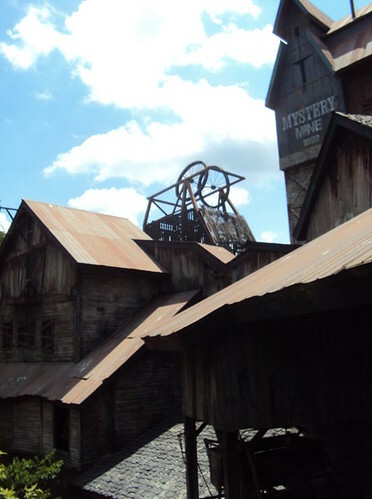 Your body might take a hit due to the sheer velocity of these attractions but nothing beats the Mystery Mine. The Mystery Mine coaster was by far my favorite ride of the trip. Never in my life had I found myself back at the entry gate after riding a roller coaster with my jaw dropped due to the sheer amount of awesome that was squeezed into 1,811 feet of track. Saying this thing is a hair-raiser doesn’t do it justice. There were two 95-degree angle inclines with an 85-foot vertical drop into pure darkness. There was even a blazing fire right before a straight drop down. It was so close you could feel the warmth and then ZOOOOOOOOOOOM … off you go. It’s a thrill and then some to say the least. 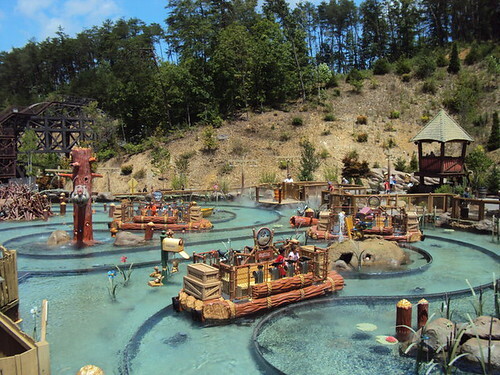 It’s easy to cool off after a helluva ride through the Mystery Mine. The River Battle is just a few steps away. It’s like standing in the street during a rainstorm only you’re sitting in a raft on a set track in the middle of a pond with a water gun attached to your seat. River Battle allows for those not on the raft to get in on the fun too, which makes it that much better. While you’re safe in your raft firing your soaker from the comfort of your seat, you can aim at other park goers along the ride’s banks where there are also soakers along a slew of stationed posts. It’s by far the best way to cool off on a hot and sunny Tennessee day. You can even go back in time to where poodle skirts and letterman jackets reigned supreme with a visit to Jukebox Junction. 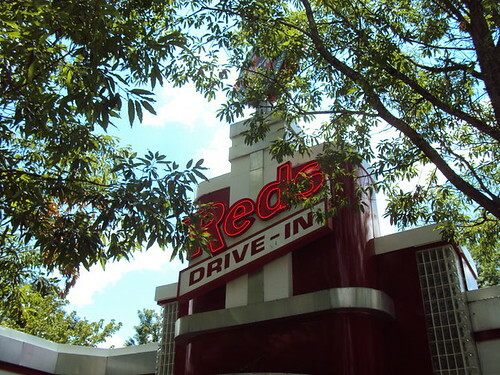 I definitely had one of the best cheese burgers of my life at Red’s. That’s no exaggeration. Although, I do think the setting had something to do with it. Nothing’s better than a cheese burger, fries, and a soda while you’re sitting in what feels like the set of Happy Day’s with Elvis serenading you from the speakers above. Jukebox Junction is one of 10 themed areas within Dollywood, each unique with rides and attractions to boot. 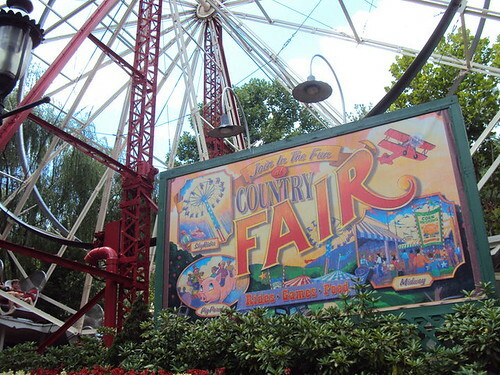 The premise of the park, according to Parton’s memoirs, is to evoke the feeling she had as a child when the “country fair came to town”. 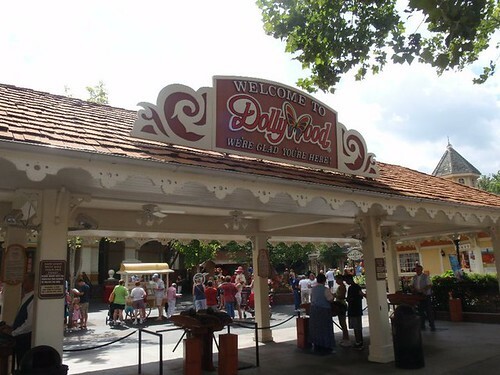 Besides the obvious Country Fair area within the Dollywood park limits, the 150 acres of land fits an average of 2.5 million people through its gates a season not to mention the 3,000 people on the park’s payroll. 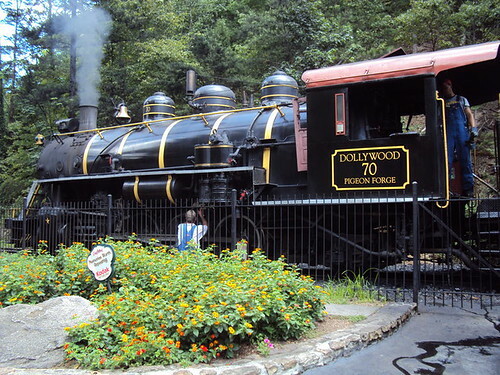 The Financial Times mentioned last year that Dollywood is seen more as a kitsch joke in this country. They even referenced a line from The Simpsons when Ned Flanders says, “Too many people appreciate Dollywood ironically.” Dollywood isn’t a joke. It’s living proof that the American dream, as cheesy as this sounds, is alive and well and does certainly exist. Parton is a prime example of that fact and visitors to Dollywood should notate that and stick it their respective back pockets. I’ll leave it at this – the eight and a half hour drive is worth it.